To be honest, I'm not sure if today is day one or two! I posted the intro post yesterday, but I'm not sure how to count it....either way, here we are friends! 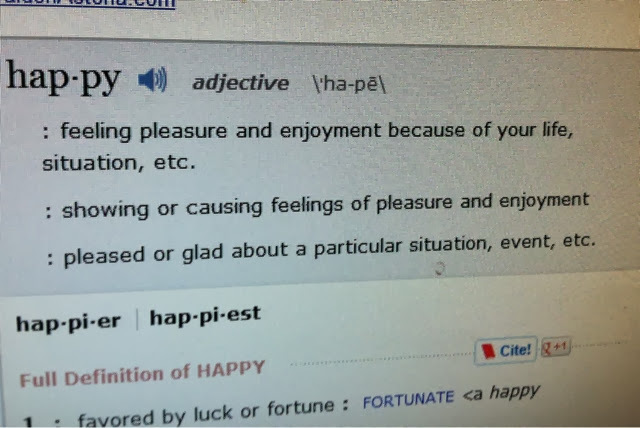 Doesn't everyone want to "feel pleasure and enjoyment because of your life, situation, etc."?!!! I know I do! 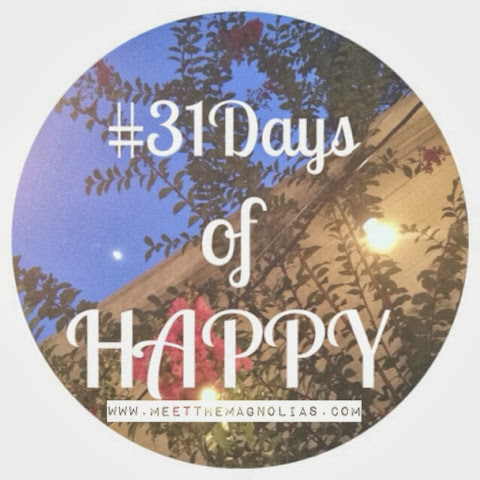 So, let's get started on this 31 days of HAPPY! Favorite color, movie, song, show? 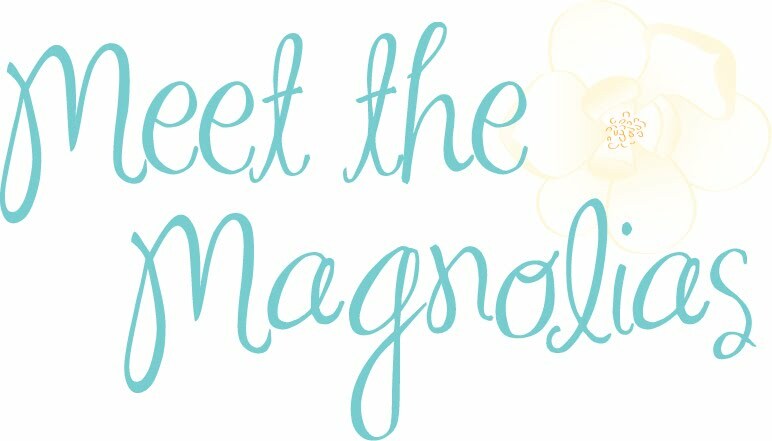 Leave them in comments, along with a link to your blog!!!! Fun topic! My favorite color is bright green and my favorite smell is a freshly mowed lawn :) I could go on forever! Having coffee with friends like you! TV series (oh so many!). Nail polish. Owls. Favorite color is pink, but not to wear or decorate with. Favorite day is October 14th. I love favorites and could go on and on! Crafting is my favorite pass time. My family are my favorite people. Fall is my favorite season!! Apple ciders, pumpkin coffees, sweater weather and scarves are just a few of my favorite things!